While you might be feeling some relief at getting the senior portrait section of your yearbook wrapped up and ready for print, don’t lose that school year momentum quite yet! You have a big batch of soon-to-be seniors who will be doing their part to contribute to the yearbook over the summer–in the form of their senior portraits! Since many students have never been to a professional photographer before, they definitely need some of your best tips before the end of the school year to ensure they get awesome snapshots to use for next year’s senior portraits. To help you pull together a list of the best advice, below I’m giving you my own favorite tips to share with your incoming senior class before they head out to enjoy their last real summer break! Check out their work: Online or in-person, viewing a photographer’s best work allows you to see how experienced they are, whether they are better at working with people or objects, and if their style will mesh well with your own. Understand their pricing: Some photographers charge a flat rate for the session and a digital copy of the images, others charge these fees separately. 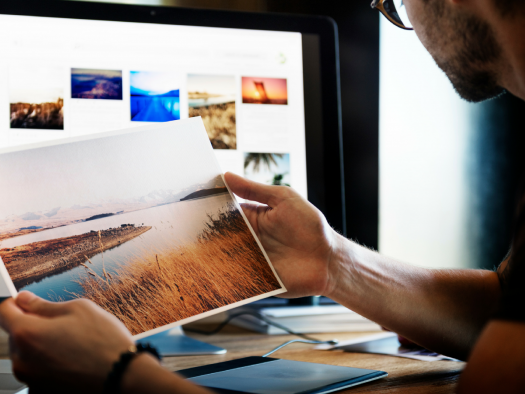 Make sure you understand how much it will cost to both get your pictures taken AND retain copies, as this can range from a couple hundred dollars to a few thousand, depending on the photographer you use. Shop Around: If your family doesn’t have a go-to photographer, don’t be afraid to check out a few before you choose one. This gives you the opportunity to explore different stylistic choices, browse a photographer’s portfolio, and find the best fit for your pictures. While many photographers have some great ideas for taking engaging senior shots, students will get a more creative range of pictures if they go in with a few ideas of their own, and suggestions that best embody their personality. Direct them to websites where they can gather inspiration for outfits, props, backdrops, and poses that show off their personality and interests. 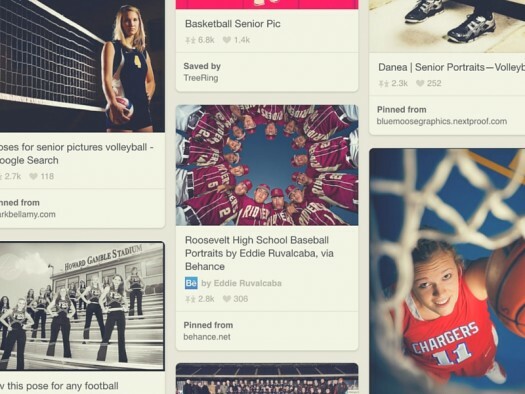 Pinterest, Buzzfeed, and photographer sites bring together awesome concepts to explore, and will give students an idea of how they can show off their best self. 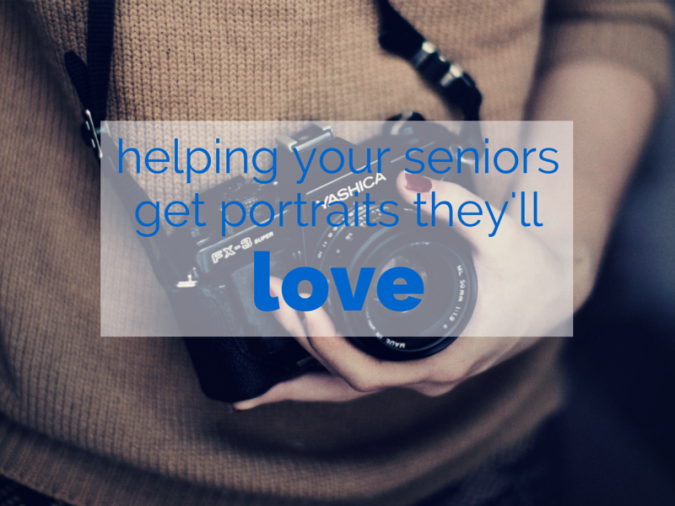 Often, students struggle to choose the “right” senior picture to use within the pages of your book. One of my favorite yearbook tips that navigates this very issue is to have the photographer choose the best shot. By allowing a third party to make the final selection, the student’s critical eye doesn’t affect the photo choice. Instead of choosing the trendiest picture, they wind up with the most optimal shot from their shoot. And that’s something they can look back on fondly in twenty years, without embarrassment! Today’s senior portraits are much more creative than what we saw twenty or thirty years ago. 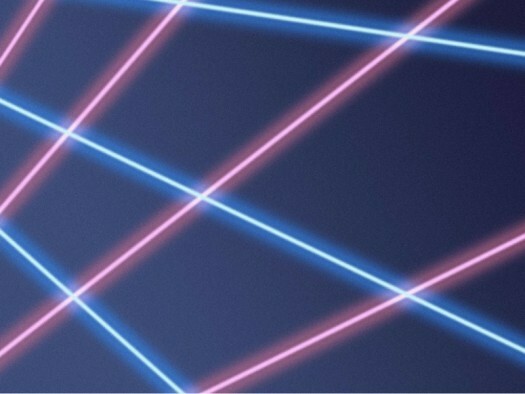 From outdoor photo shoots to unique photoshop tricks, there’s a range of ideas that students can incorporate to wind up with something totally awesome. Of course, the best yearbook tips for great photos are always the basics: choose simple outfits, relax, and most of all, make sure to smile! Offering these tips today helps your students to plan for their big photo shoot in advance. This gives them time to pull together the right photographer, setting, and styles that will make their pictures totally amazing. And all of this contributes to a fabulous senior section for next year’s book!